Saludos todos! This week we are starting our March theme of women in children’s literature, in celebration of Women’s History Month. 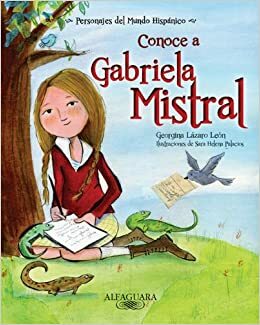 Our book for this week is Get to Know Gabriela Mistral, written by Georgina Lazaro Leon and illustrated by Sara Helena Palacios. 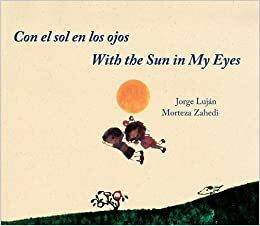 This bilingual book is part of a series of “Conoce a…/ Get to Know….” books that provide children with biographies of well-known, and sometimes lesser-known, Hispanic heroes. Gabriela Mistral was a Chilean author and poet and she was the first Latin American author to win the Nobel Prize for Literature in 1945. Although Mistral is indeed very well-known within the literary community, outside of the literary community she is often eclipsed by some of her twentieth century male contemporaries, such as Pablo Neruda and Jorge Luis Borges. This informative story traces Mistral’s life, both her childhood and her work as a writer, and even introduces readers to some of her lovely poetry, ultimately putting the spotlight on a timeless woman, a Latin American hero and literary icon. ¡Hola a todos! Happy Children’s Book Day! I hope that the resources this week are of use to you. Saludos todos! This week we are continuing our theme of unsung heroes, or lesser-known figures, with Tito Puente, Mambo King/ Rey del mambo, written by Monica Brown and illustrated by Rafael López. This lively book narrates the biography of renowned Puerto-Rican/New Yorker musician, Tito Puente, and the lasting impact that he has had on Hispanic-American heritage. Although Tito Puente was a beloved and iconic musician, he is not as well known outside of the Hispanic-American community.Tito Puente, Mambo King/ Rey del mambo is a bilingual picture book that is best for ages 4-7. 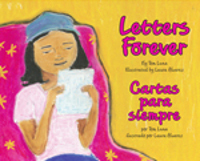 It won the Pura Belpre Honor Book for illustration in 2014. Brown and López have collaborated before to write My Name Is Celia (2004), a children’s book biography of Celia Cruz, the spectacular, Cuban jazz singer, and one of many iconic musicians with whom Tito Puente worked alongside. In the back of Tito Puente, Mambo King/ Rey del mambo, Brown includes a brief, non-fictional biography where she mentions Tito Puente’s many, star-studded collaborations: “He collaborated with the most famous Latin musicians of the twentieth century, including Machito, Santana, Willie Bobo, Gloria Estefan, La Lupe, and especially Celia Cruz.” Yet many of these names have gained more recognition in the U.S. than Tito Puente himself.